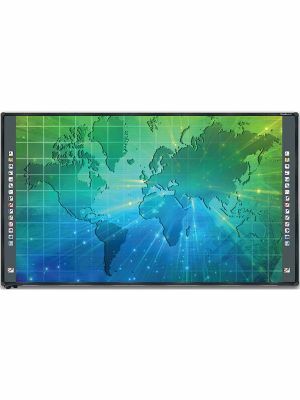 Hitachi Starboard FX-79E2 Interactive Whiteboard is a true augmentation to collaborative communication in high-end workplaces and interactive classrooms. This remarkable touchscreen whiteboard equips its users with the tools to engage an audience in productive work sessions and yield favorable results. The Starboard FX-79E2 is a huge 79” touchscreen that provides users with the perfect workspace to brainstorm on. 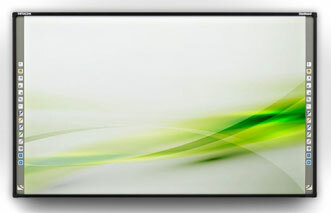 This screen is made of high density polyester that provides it durability and uses infrared technology to sense touch. This screen, with an aesthetically pleasing 4:3 aspect ratio, supports double touch for enhanced interactivity quality. 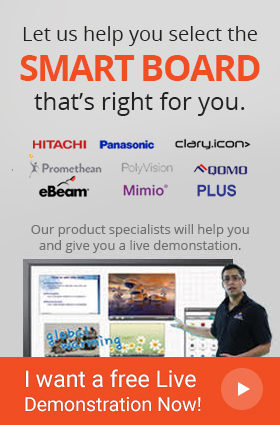 The FX-79E2 is powered by the intuitive Hitachi Starboard Software that presents the ideal platform to control this dynamic whiteboard. Supporting a range of OS versions of Windows, MAC and Linux, it definitely is a software usable by all. The Starboard Software allows users to browse the internet, make Google image searches, and make their presentations lively by importing and exporting files of various formats. Moreover it also supports the widely used Microsoft Office package and includes a handwriting recognition function. 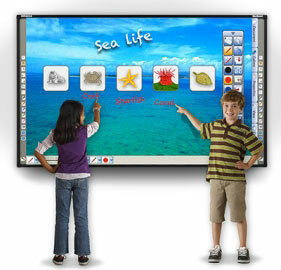 With all its qualities, FX-7982 Interactive Whiteboard is suitable for a multitude of applications. It may be used in a conference, where its efficient remote conferencing feature may be utilized for more effective communication with remote participants. Classrooms can benefit a lot from this amazing product as teachers may use it to engage students in the learning process via games and fun lectures. Whole whiteboards may be saved in an IWB CFF so lectures may be shared conveniently with students. To further improve the quality of the way people interact, this whiteboard is supplemented by robust components like its light weight metallic surface. A sturdy wall mount can be used to fix the whiteboard to a wall, at a comfortable height. Furthermore, the stylus pen that comes with it is an impressive component to write properly on the screen. With a myriad of innovative features that ensure a versatile and productive experience for the users. The user can perform a variety of functions with extremely simple commands, Hitachi FX – 79E2 a bestseller in its category. The users can easily annotate, edit, and share their work, making their conference or classroom a productive and dynamic place. The Hitachi Starboard FX-79E2 Interactive Whiteboard is one of today’s most effective communication tools and can optimize productivity at work; it is a must-buy for every professional organization seeking to enhance results. The Whiteboard is powered through the USB cable so you do not have to worry about finding an electrical outlet. Q: What hardware do I need for my Interactive Whiteboard? A: The only thing you need is a computer or a projector for your Interactive Whiteboard to work. Q: Do I need to install other drivers or software to set up FX-79E2 Interactive Whiteboard? A: No, the Starboard FX-79E2 comes preinstalled with all the necessary software and drivers. Q: Why should I choose this Interactive Whiteboard? A: Starboard FX-79E2 Interactive Whiteboard is a true augmentation to collaborative communication in high-end workplaces and interactive classrooms. 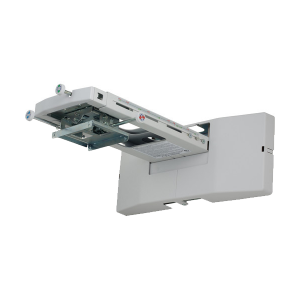 It gives users the best display experience and has several innovative features. Q: Does FX-79E2 Whiteboard support multiple operating systems? A: Yes, the Interactive Whiteboard is compatible with all the popular operating systems such as Windows, Mac, Linux OS, etc. Q: Can StarBoard FX-79E2 recognize finger touch?